Bleu has a new family!! You are here: Home - Blog - Bleu has a new family!! FEEL GOOD STORY TO START YOUR DAY! 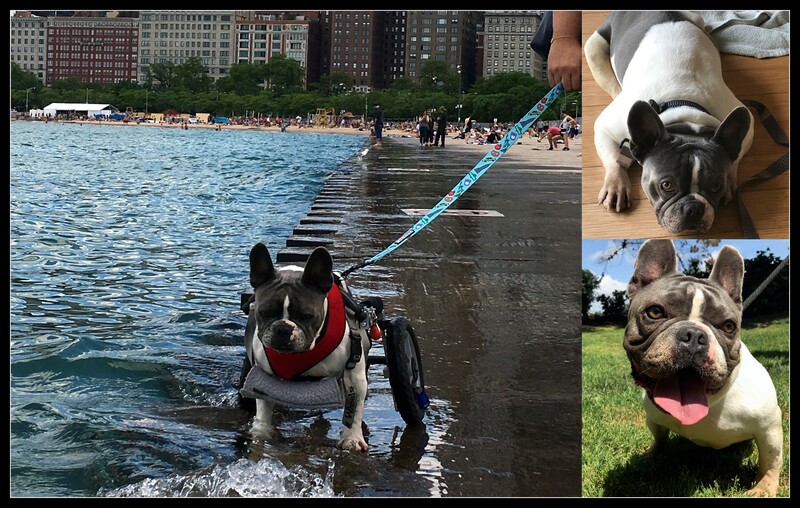 Last year, we received two separate messages regarding an owner relinquished French Bulldog that was dropped off at the shelter for euthanasia. 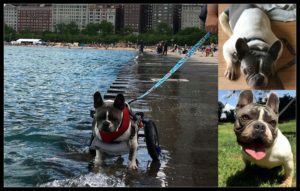 He has no use of his back legs, and his owner kept him in a crate most of the time and it appears he was kept around for ‘breeding’, as he is a handsome blue/white Frenchie, intact of course. Because Bleu was owner requested euthanasia, he had a few hours to find a rescue that would take him, or he would be euthanized. SPOT has never had a dog that can’t use his back legs, what is called a ‘cart dog’, one that needs wheels to get around – so we are reaching out to anyone and everyone for advice/help. 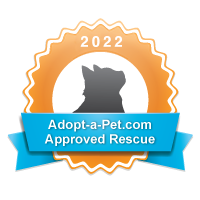 Here’s where the Rescue Village comes in! Thrive Rescue, Dexter’s Deli and Tsavo’s Canine Rehab all jumped in and offered to help – how could SPOT say no to a dog that has spent most of his life being used to help produce puppies for sale, stuck in a crate for the majority of the day/night, and not know a true human connection where he is loved for himself? 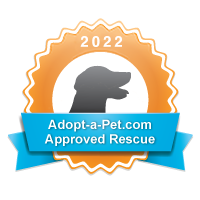 Well, check out Bleu now… ADOPTED!!! His name is now Iverson and is now living the good life in “Sweet Home Chicago”. His new parents adore him. We miss him but are so happy for our handsome Iverson.